Search specialist Ask has unveiled the newest version of its homepage insisting that it offers faster, more relevant searches- with a UK version arriving on 20 October. 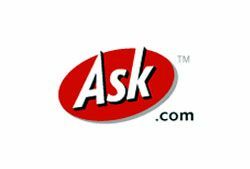 Ask, formerly Ask Jeeves before it killed off its butler logo, has put its new site live in the US as it looks to wrest back some of the search market from industry giant Google. Cesar Mascaraque, European Managing Director of Ask.com said: "It's our business to give answers. But this time we were asking the question: How did our users want us to improve? And they were very clear. "They told us they wanted faster, more relevant answers in an enjoyable and simple user interface. We listened, and now we've delivered the best possible search experience on the web." "This relaunch of Ask.com is the spearhead of a series of plans for growth and brand enhancements that we look forward to announcing over the coming months." A forcible redirect to a UK version means that it is difficult to see the new tech in action until 20 October, but a quick browse to http://us.ask.com may give an earlier glimpse. In truth, it's going to be an uphill battle for Ask in the UK, where the dominance of Google as the primary search engine pushed out many competitors – especially with both MSN and Yahoo sweeping up much of the remainder. However, according to Neilsen, Ask had 6.9 million unique users between in July – which apparently makes it the 13th largest internet brand in the UK with a reach of 25.6 per cent of the internet population.